Noodles in the village. Listed as a favorite ramen shop of Iron Chef Masaharu Morimoto. Chicken gyoza – The gyoza was ok. Could have used more seasoning and TLC. I had the R1 Shio Ramen – BBQ pork, bamboo shoots, seaweed, scallions, scallop powder & salt taste egg. 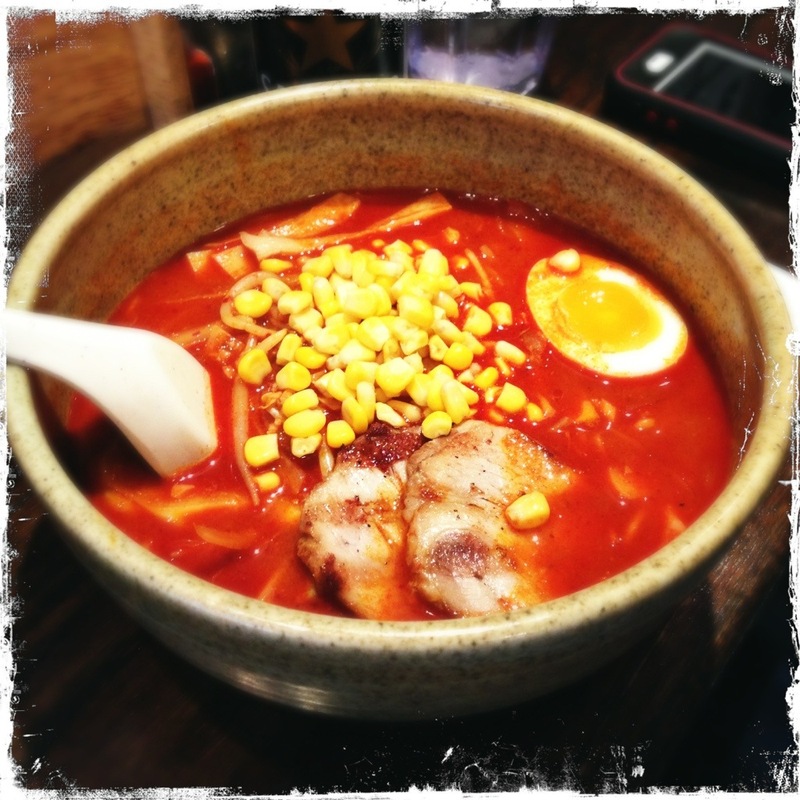 My DH had the R6 Spicy Miso Ramen – BBQ pork, bamboo shoots, corn, miso, salt taste egg, onions, bean sprouts & cabbage. Chewy, perfect noodles wrapped in rich, luscious broth. I’ve said it before, and I’ll say it again – ramen is the apex comfort food in my book, and the perfect remedy for the world’s ills. My dish was more delicate than my DH’s, but it was still a great bowl of noodles, especially if you favor delicate taste over flavor bludgeon. The BBQ pork in both bowls brought a nice smoky depth to the overall product, and is a must-have. 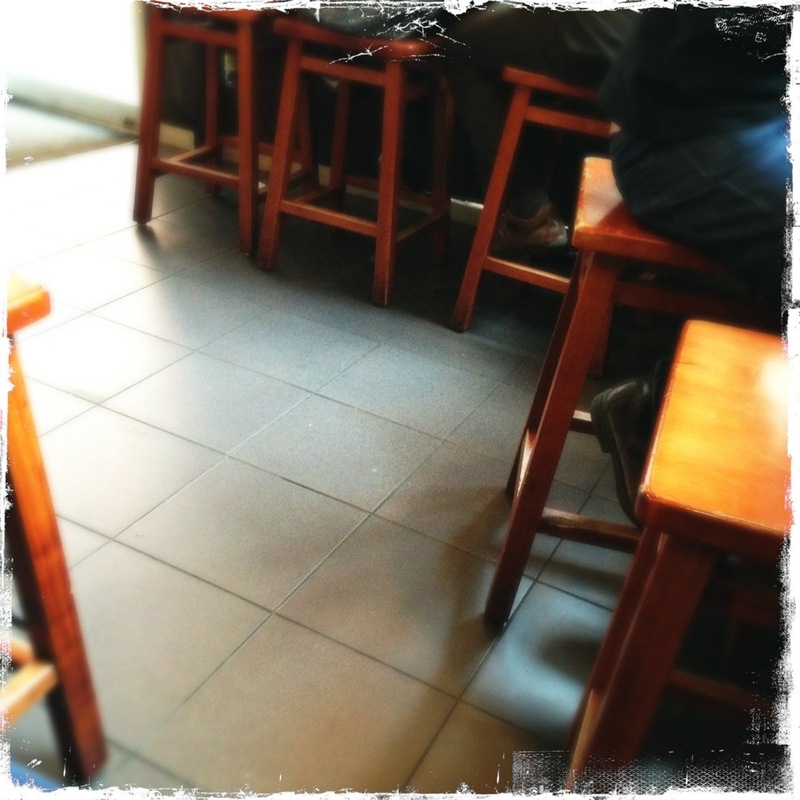 You eat at long counters very informally. Lots of Japanese menu items on the wall. 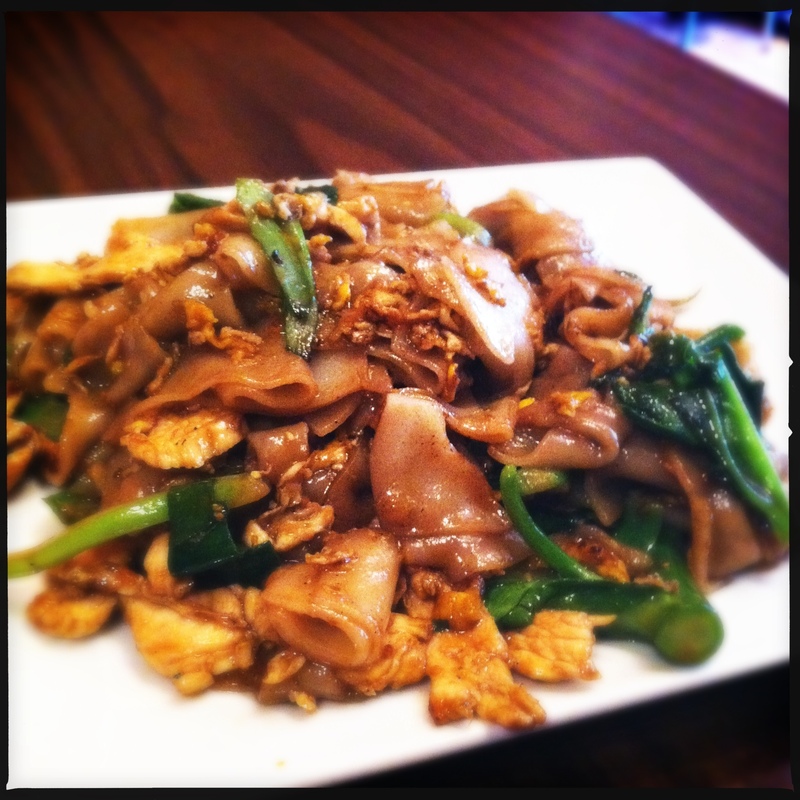 Standard for a busy noodle shop – they tend to leave you alone. The only recommendation qualm we had was that our food came out at vastly different times; my DH was half done with his bowl when the gyoza arrived, which was followed almost immediately by my dish. We still have to hand the ramen win to Ippudo, if for no better reason than the pork chunks. 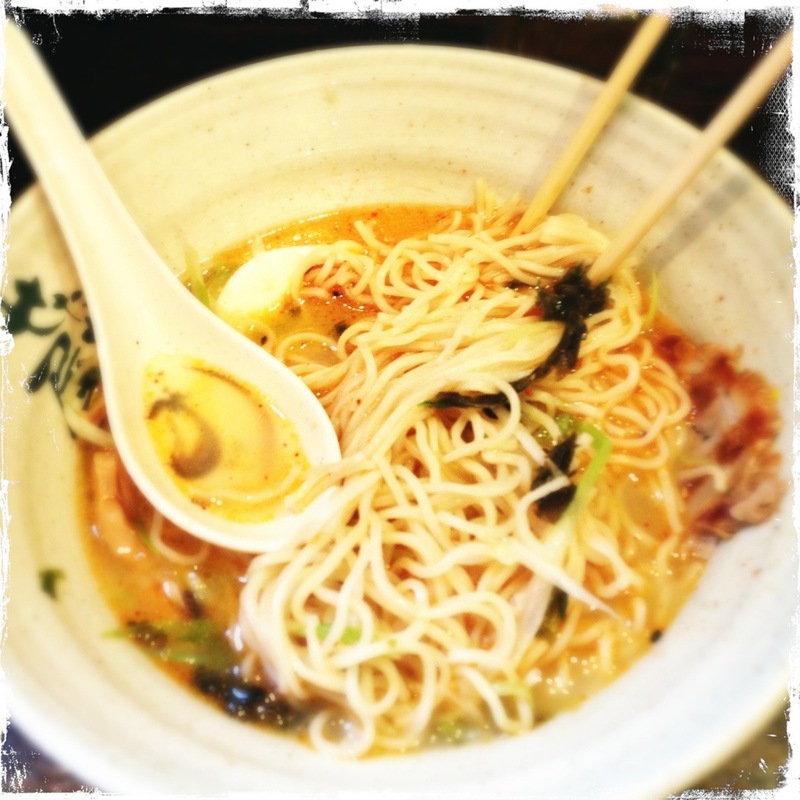 This is a great shop, and we will definitely be back – but Ippudo has our heart. 3.75 out of 5 for solid food but wonky serve times. Sushi and dishes in Park Slope. 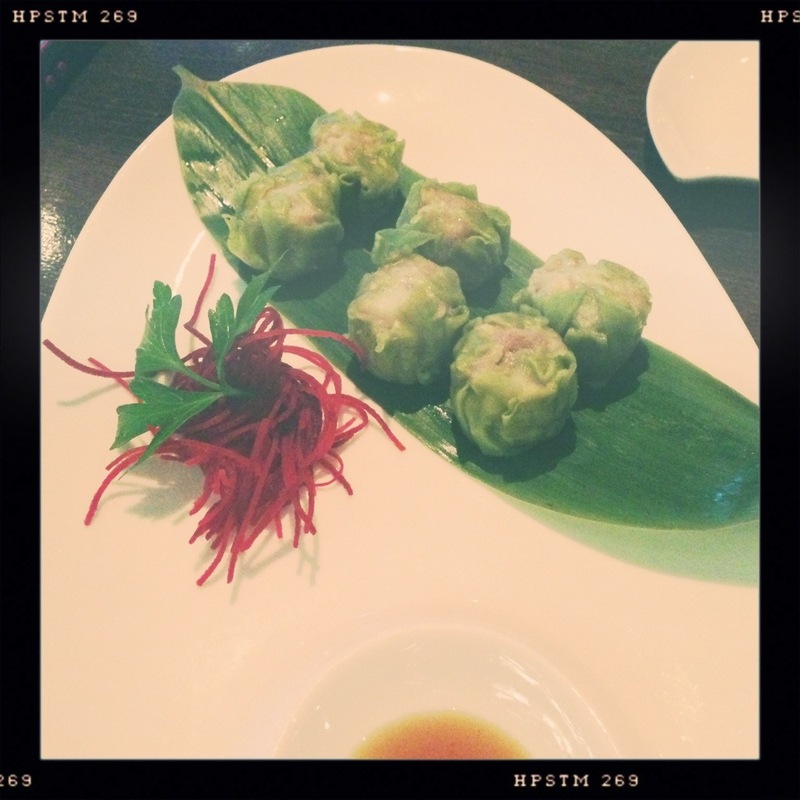 Wasabi Pork Shumai – These were sinus clearing but tasty. The sushi was really fresh, good quality, good variety and a nice roll. The raw shrimp sushi was on the challenging side. Modern black & white with pops of red. Ako in Williamsburg is better, but this is closer. We base this not on the fish quality, which is superb at both places, but on the rice temperature and seasoning. 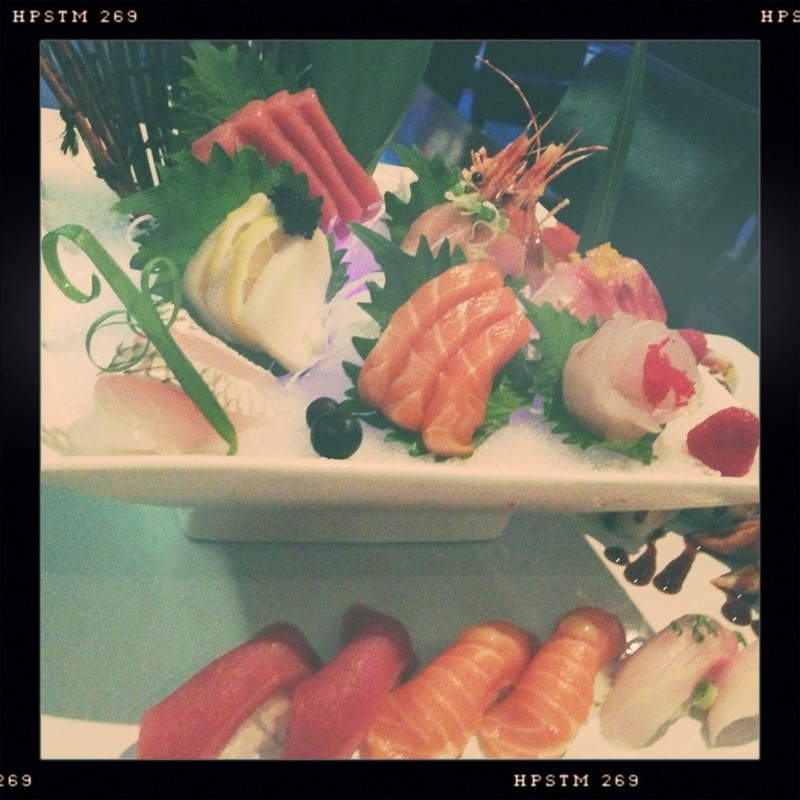 Ako’s is better, therefore has to be our more favorite sushi spot. DH says 3.5 out of 5 because the rice was nothing special, but I’m bumping it up to 3.75 because there was nothing wrong with the food and we will go there again. Healthy fast food. 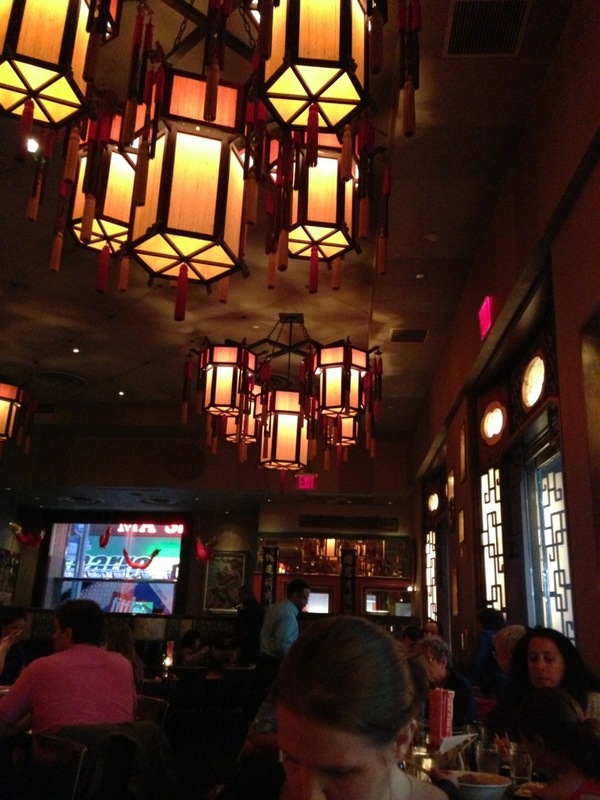 We visited the location near Central Park. Nothing on the menu is over 500 calories. Everything is steamed, baked or broiled; nothing is fried. 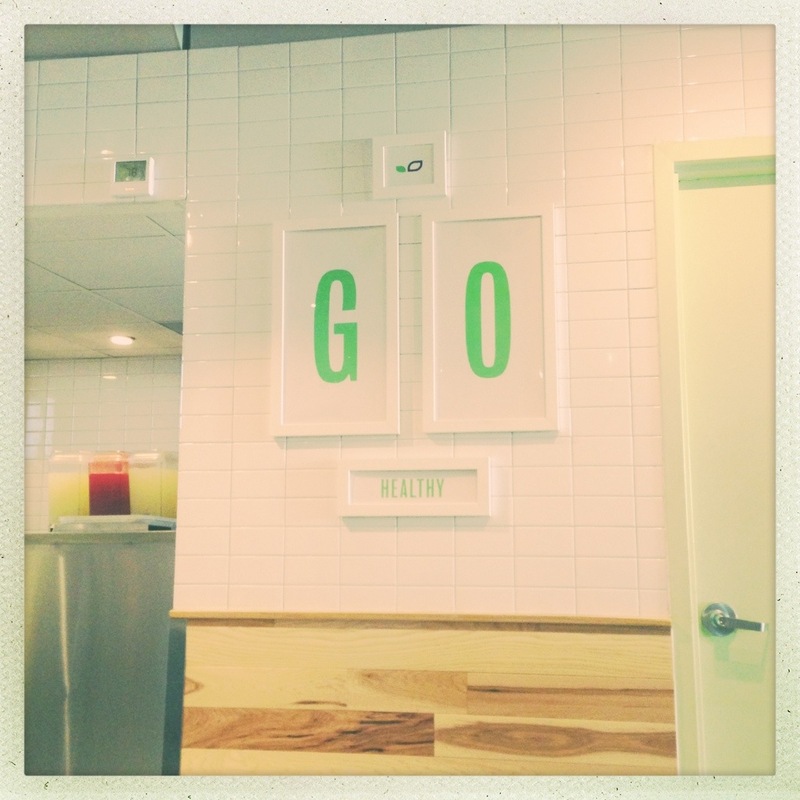 They serve smoothies, platters, wraps, burgers, salads, breakfasts, and only low calorie fountain beverages. 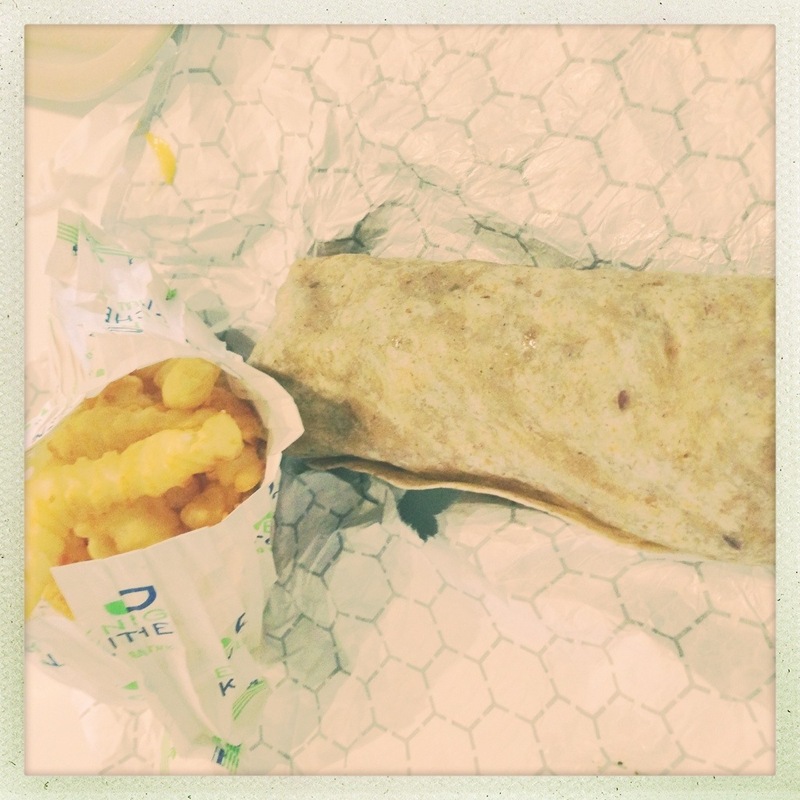 We both had the bison steak & cheese wrap with mushrooms, low fat cheese and onions and a side of baked fries. The sandwiches were pretty good – just enough cheese to know it’s there; the meat & cheese together was juicy enough to be satisfying and feel decadent enough for fast food. Not fine dining, but good enough for a quick meal. The fries were fabulous and virtually guilt-free. Bright and welcoming mostly white interior with pops of blues and greens. Typical fast food counter service. This is a place I could see us coming to again. It’s fast food I can get behind. The menu is varied with lots of great looking sides I’d like to try, including a black bean and mango salad, mashed sweet potatoes, and asparagus. 3.75 out of 5 for decent food and being a healthy option for lunch on the go that isn’t necessarily a salad. 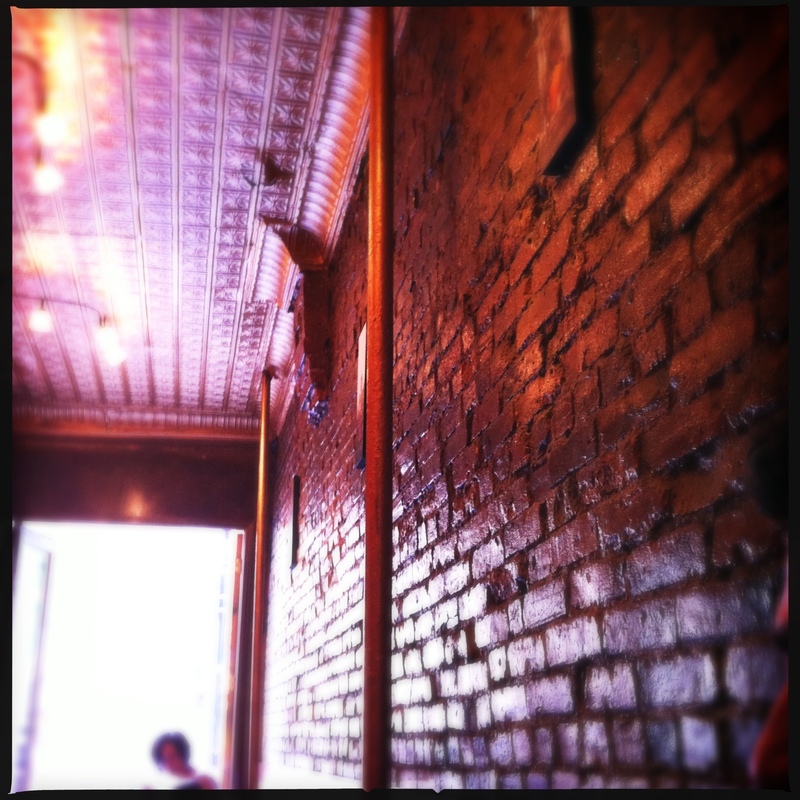 Dive-ish bar & grill in Cobble Hill. Known for good liquor & free popcorn. I had the Pulled Smoked Chicken in Mustard Sauce Sandwich with coleslaw – The chicken was nice and juicy, with a pleasant sweet and sour tang from the mustard sauce. It was also pulled well, with a good mix of large to small chunks and no fat or gristle. 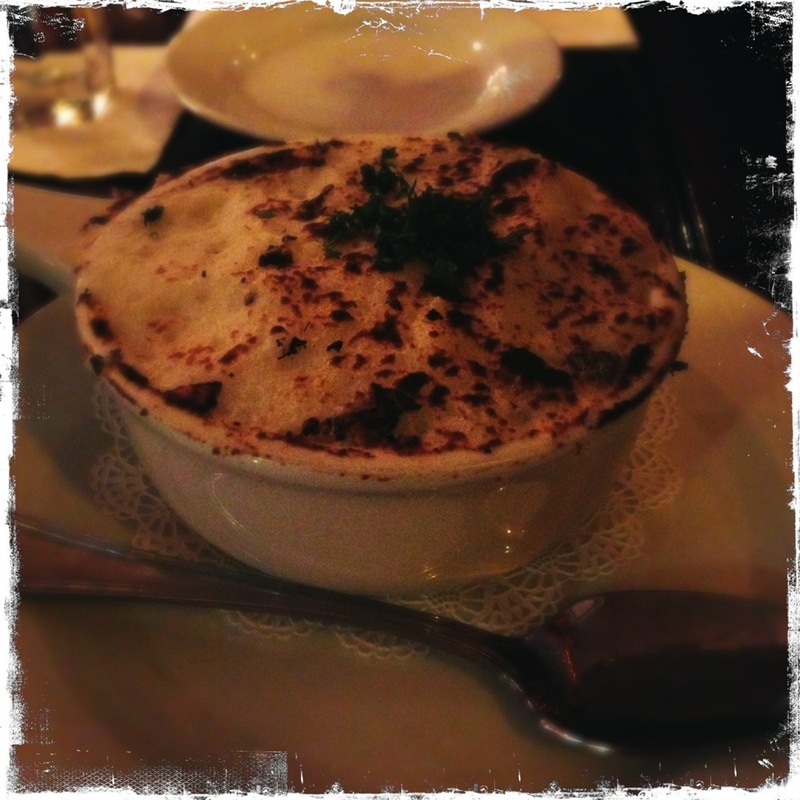 The coleslaw was also a nice surprise – mustardy, refreshing and crisp. My DH had the French Dip Sandwich with fries – This was a great sandwich; good meat cooked well, with robust flavor and really good fries. 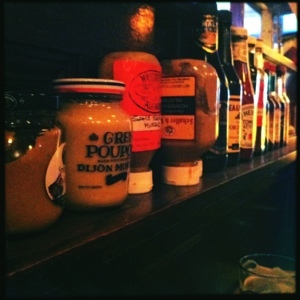 Much to my continued delight, this place specializes in condiments, with at least three special house brands lined up along the myriad bottles of mustards, BBQ sauces and hot sauces. 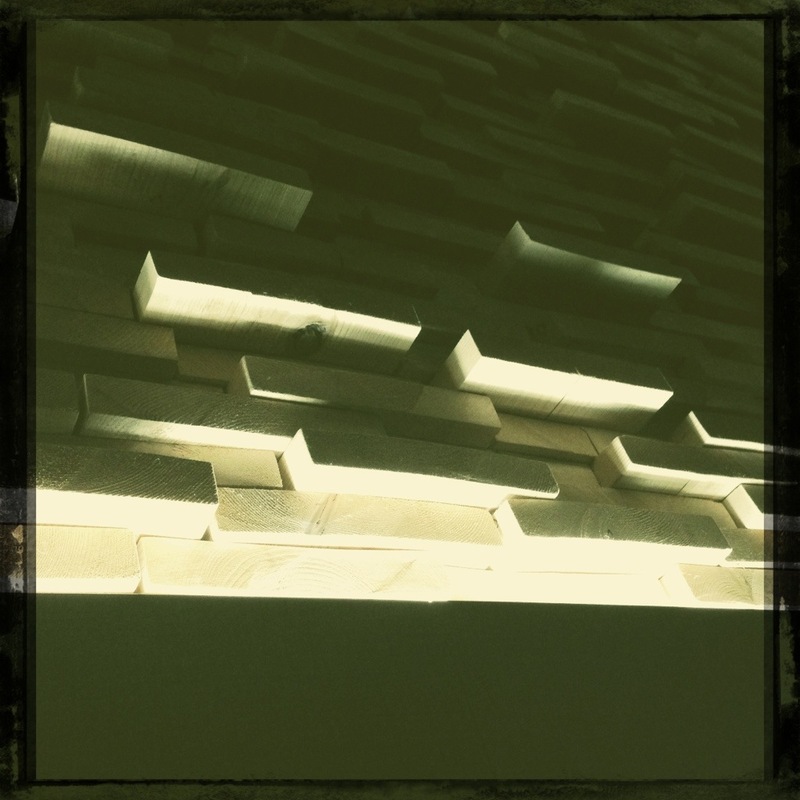 Minimal with an interesting lighted cityscape over the bar. Not the worst ever – it’s a bar and grill; adjust your expectations accordingly. This is a quaint little neighborhood watering hole – great for drinks, mingling, and a bite. 3.75 out of 5 for food that was better than expected. 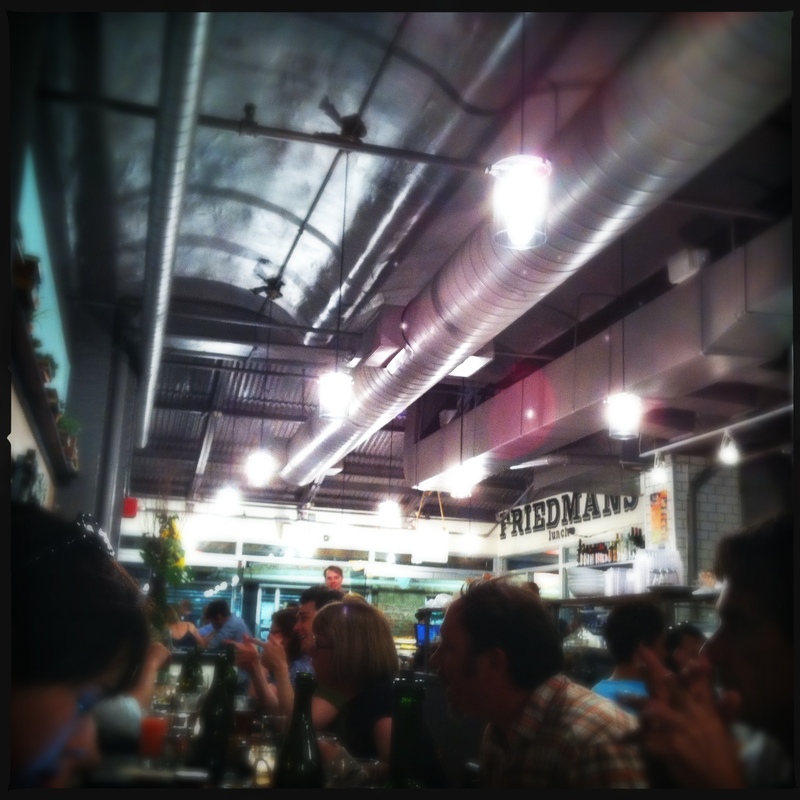 Mostly comfort food in Chelsea Market. 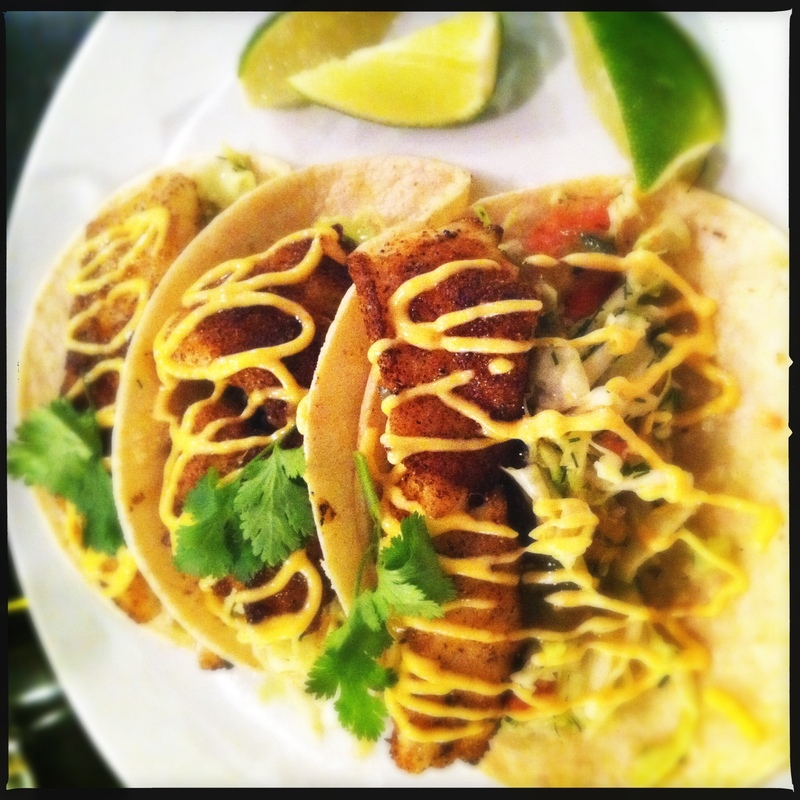 I had the Chelsea Tacos – blackened pollock, corn tortilla, citrus fennel slaw, tomatillo salsa, sriracha aioli, and cilantro. Nice meaty fish with good spice – a satisfying dish. 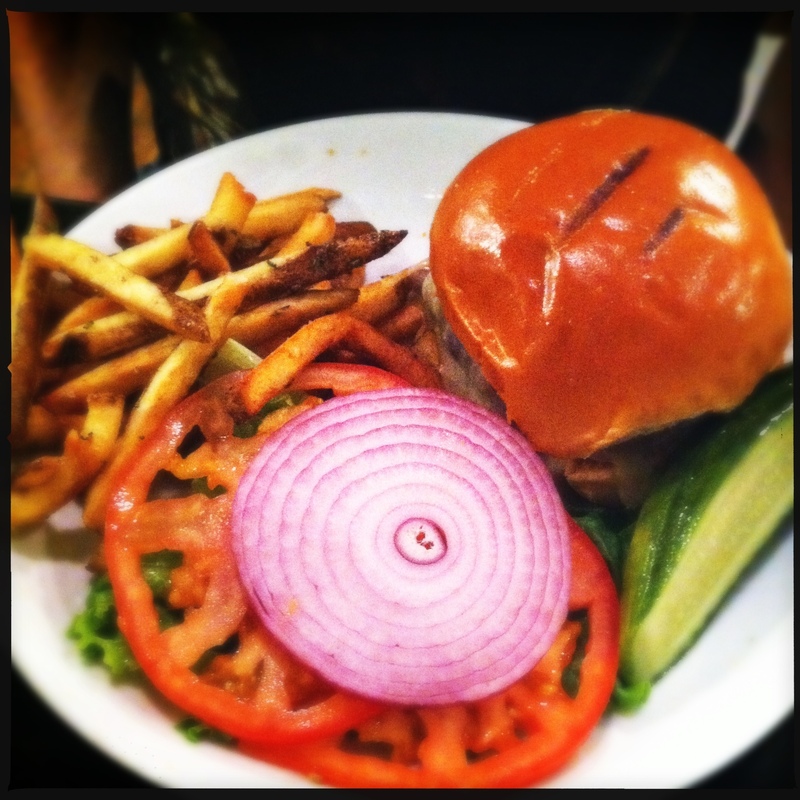 My DH had the Friedman’s Burger – ground brisket with cheese on a brioche bun with herbed fries. The beef was really something special, and the patty was cooked perfectly. Well worth the calories. 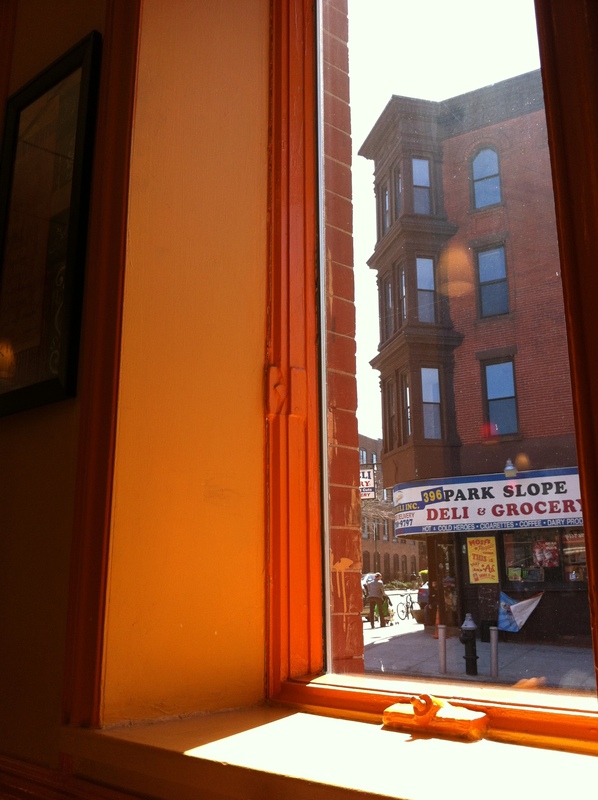 Cute; kind of luncheonette, kind of country-ish? Not half bad for a wandering around starving blind pick. 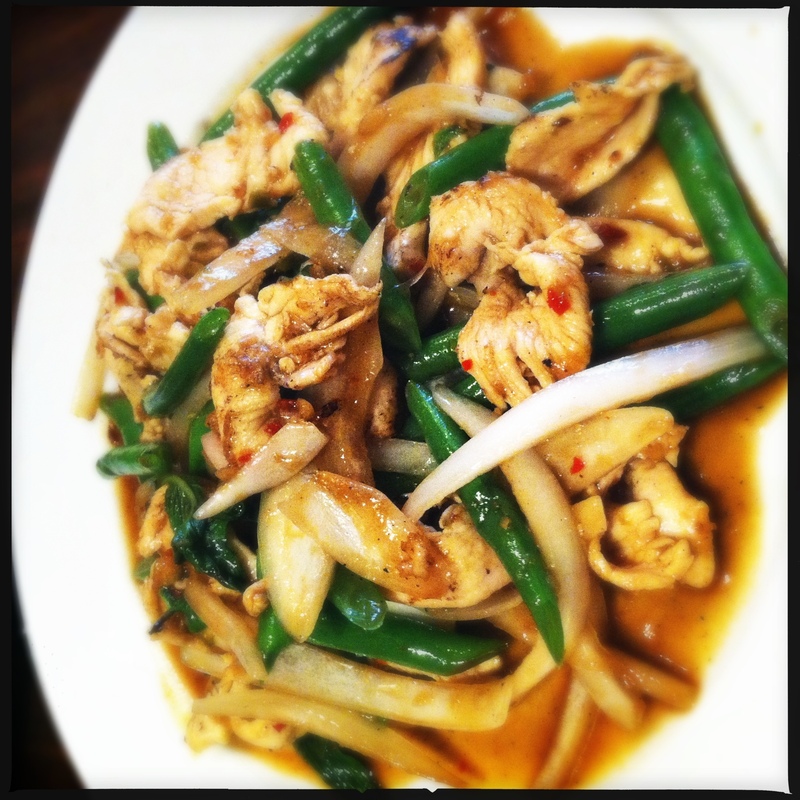 3.75 out of 5 – a nice option for lunch if you find yourself hungry in the market. 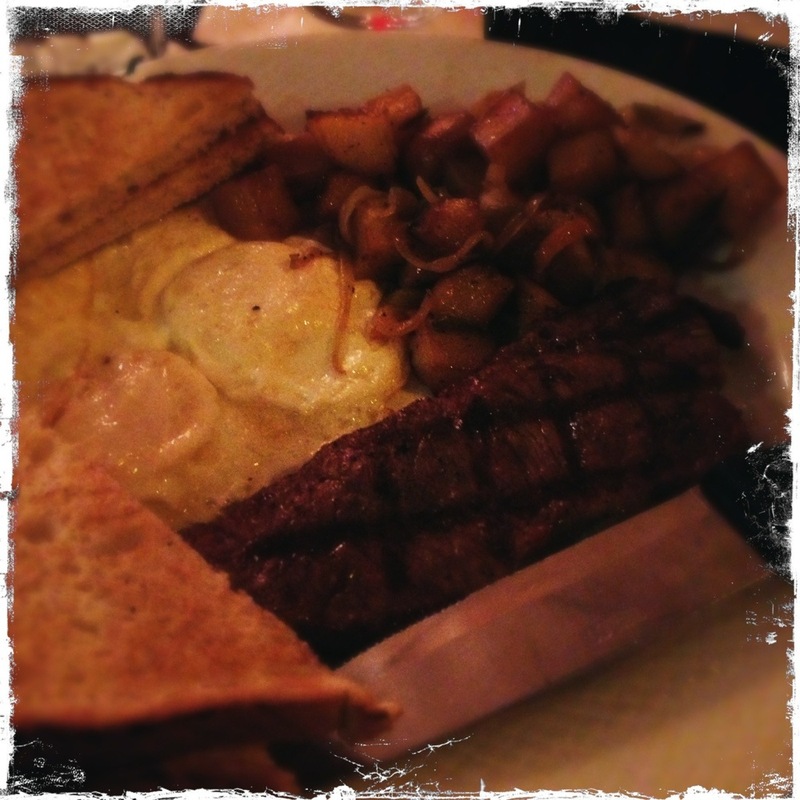 Little corner diner serving a little bit of everything in Park Slope. My DH and I both ordered lunch specials. 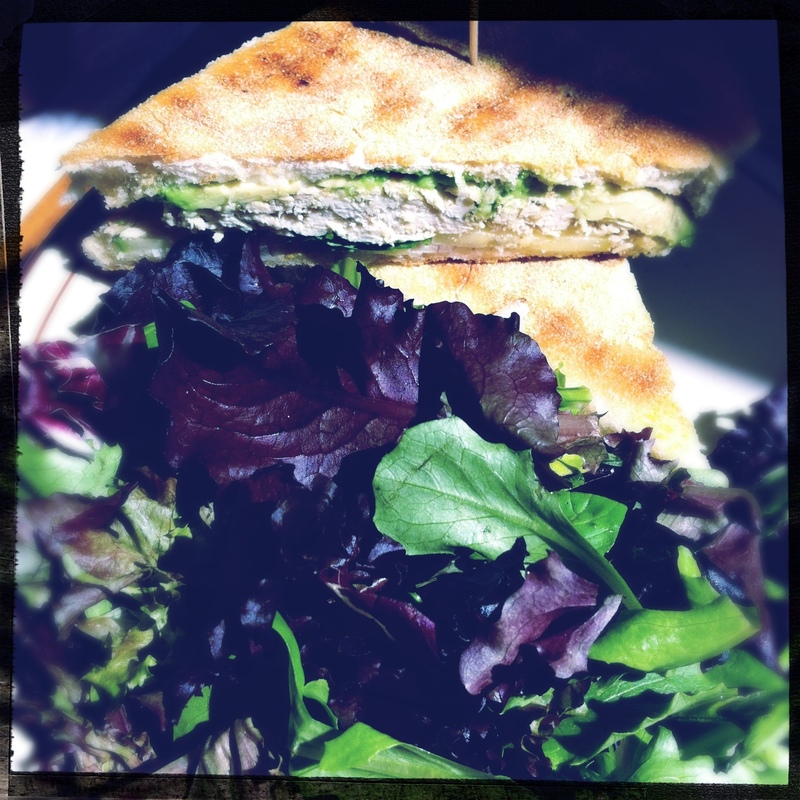 I had the Summers End Panini – pulled chicken, avocado, red onion, cilantro, cucumber, mayo and mustard with mixed green salad. This sandwich was nice and light, just like the name advertised, with good crusty bread. The side greens were also nice – all deep greens with cruets of olive oil & red wine vinegar alongside. 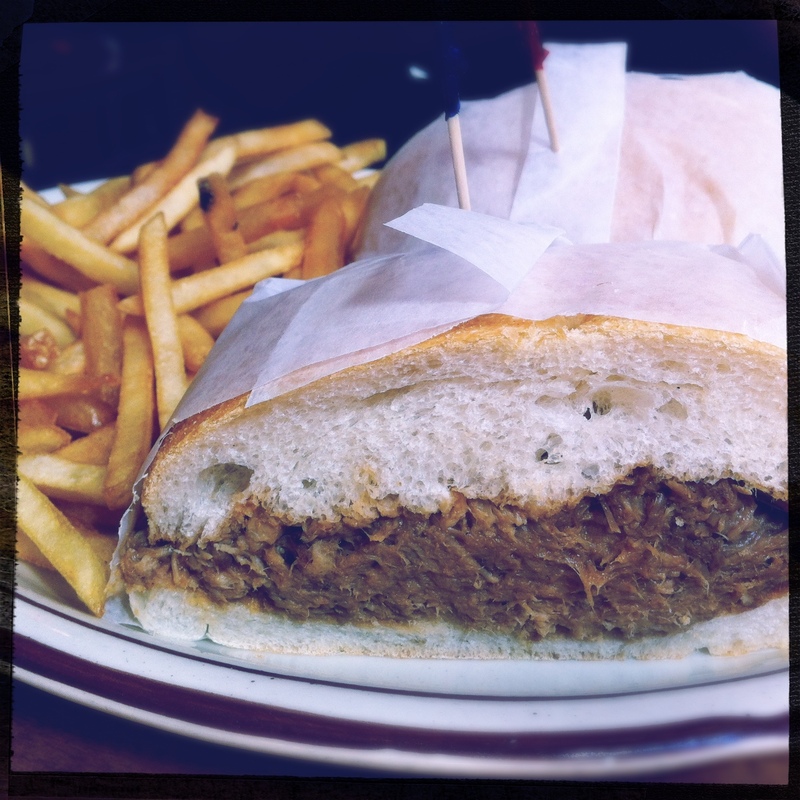 My DH had the Pulled Pork Sandwich – pork shoulder marinated & slow roasted and topped with tangy sauce. My DH and I are heavily biased toward eastern Carolina style pig, so to us it was too sweet, with not enough smoke or vinegar. Objectively, it wasn’t bad. A little on the sweet side. The sandwich wasn’t finished, but the side of fries was decent. 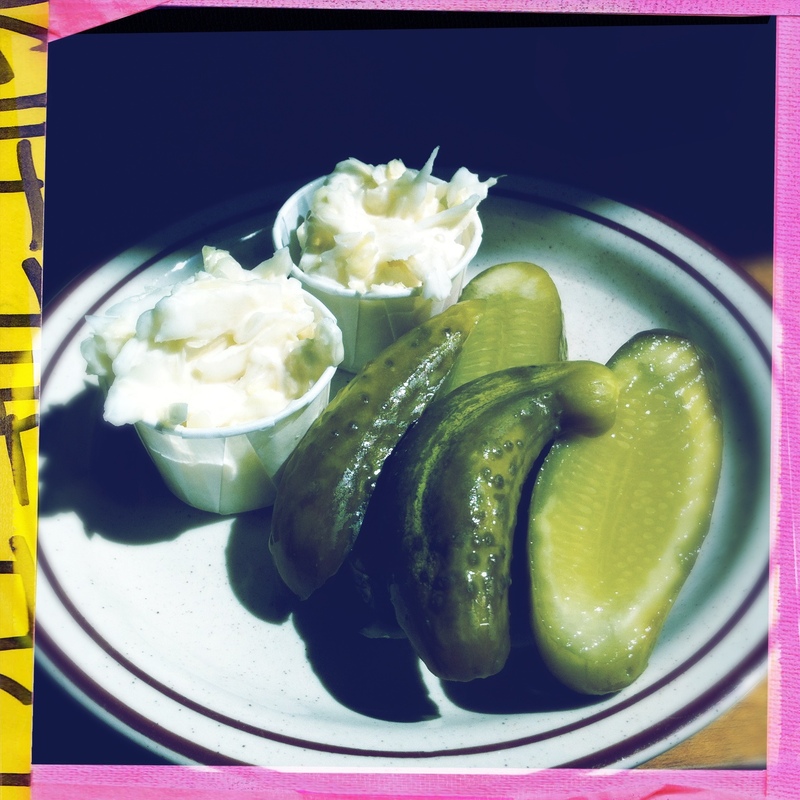 We also had table pickles & slaw. Great fresh sour pickles; throwaway too-bland slaw. Lots of sun and lots of orange. Cheery. Not a bad place to stop for a bite after a morning of heavy-duty walking and green market shopping, but I wouldn’t make a special trip for it.